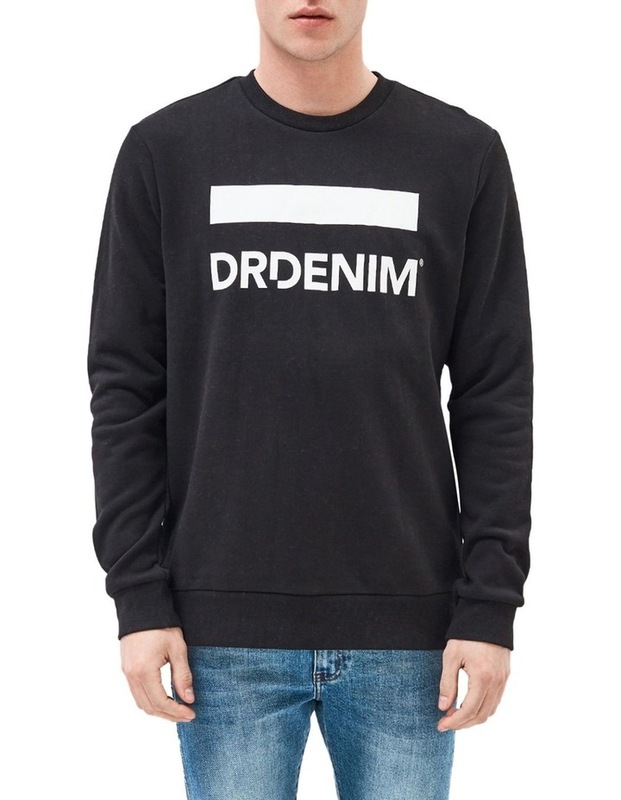 Classic crew neck sweater with regular fit featuring Dr Denim logo on front. 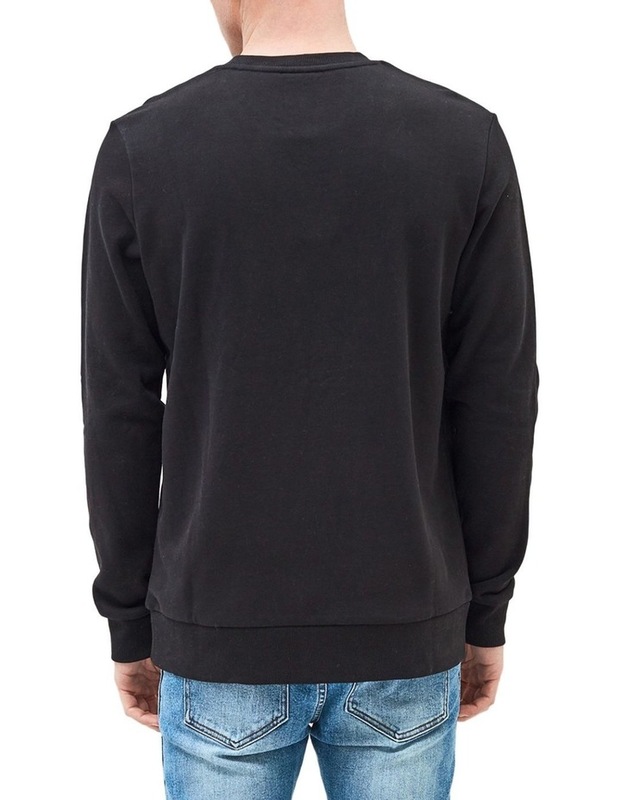 Made from organic cotton in black colour. 100% organic cotton. Machine wash cold, inside out and with similar colours. 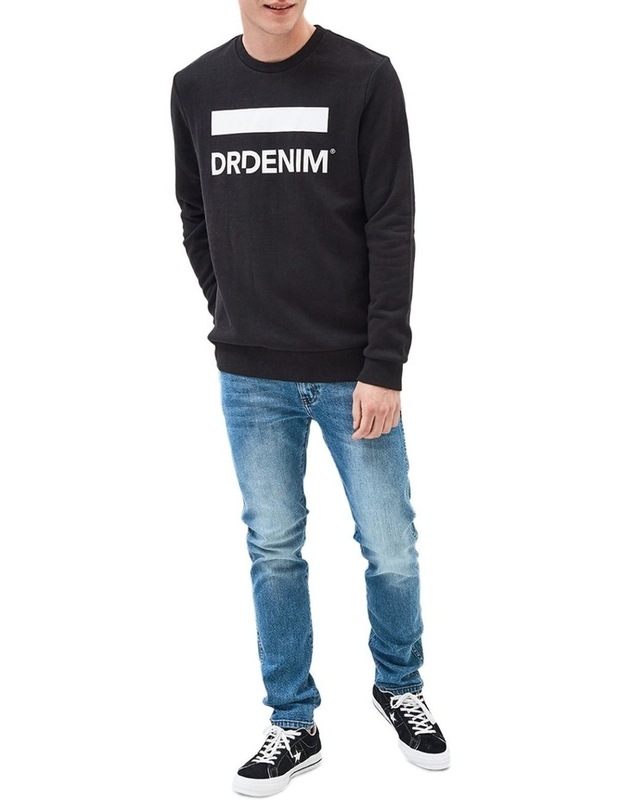 Do not bleach, do not tumble dry, do not dry clean. Warm iron.